If you are looking for a cost-effective office clearance company in Wandsworth, then Rubbish Removal Wandsworth is the team you have been searching for. Finding a company that is local and reliable is the key to a successful partnership. We are a long standing company with offices all around the area using our service to keep their businesses functioning effectively. We offer competitive commercial waste disposal in all local areas including SW8 and SW11. Our commercial rubbish collection team cannot be beaten on value for money services as well as a polite and professional approach. To request further information with no obligation required call 020 8434 7024 today and our fully trained staff members will be able to assist you. As with any good commercial rubbish clearance team, we will fill in all your paperwork and fully plan your service requirements with you, we will explain our full list of different services and help you to select the most appropriate service for your company. We can carry out a one-off office clearance Wandsworth or set up regular commercial rubbish collection, and with our offices based locally to Wandsworth it’s easy for us to plan your collections around your various business needs. We have years of experience of dealing with similar tasks in areas surrounding SW8 and have more recently branched out to SW18 too and are able to accommodate all local areas simultaneously. To find out more about how we can accommodate you and your business, just contact us. We will be happy to help you with any aspect of your collection, and arrange a suitable appointment. All types of offices or commercial businesses are welcome to call us for a quote on 020 8434 7024. You will find our services second to none with our entire staff being experienced in all areas of commercial waste disposal SW8. You will find we offer a friendly yet discreet service that will not disturb your business functionality in any way. There is no location too difficult and no job too small, because we will cater for your specific business needs. Nobody can work under lots of rubbish, except us! So let us help you remove the worry out of office clearance and let you do the business you are good at and we will do the business we are good at! We come highly recommended by our regular clients as we fit around your business hours. If your office is in need of this type of discretion you need to look no further; we are ready to go now, so just get in touch. As with all clearance tasks there will be items which may be practically and safely recycled. With every business waste removal task, we will collect this waste as well as the regular non-recyclable items in the SW11 area. 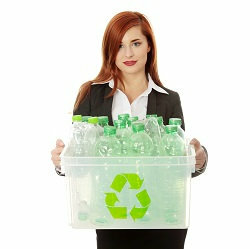 Everything that we are able to recycle we will do so using local approved recycling facilities. Your business will not be charged additionally for this service and you will be dealing with a planet friendly business. All prices we quote are inclusive of this service as here, at Rubbish Removal Wandsworth, we like to think we take responsible steps towards being environmentally conscious. This includes a fleet of low emission vehicles that are very fuel efficient. If you wish to learn more about our environment protection policy and professional office clearance services in SW8 then call 020 8434 7024 today and we will be happy to discuss this with you.